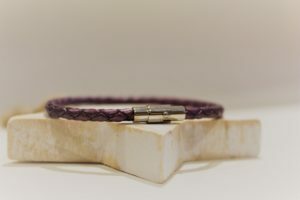 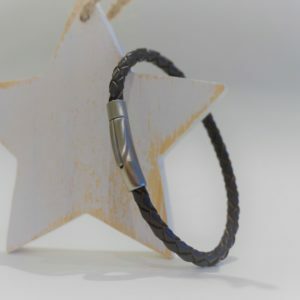 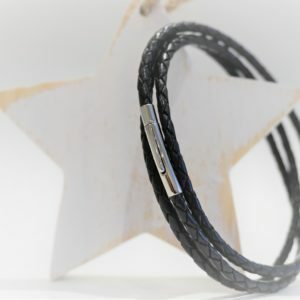 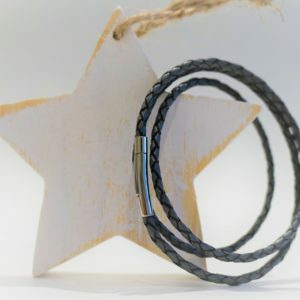 If you would like to add a charm to your leather bracelet, please go to the relevant section on our website and select “charm only”. 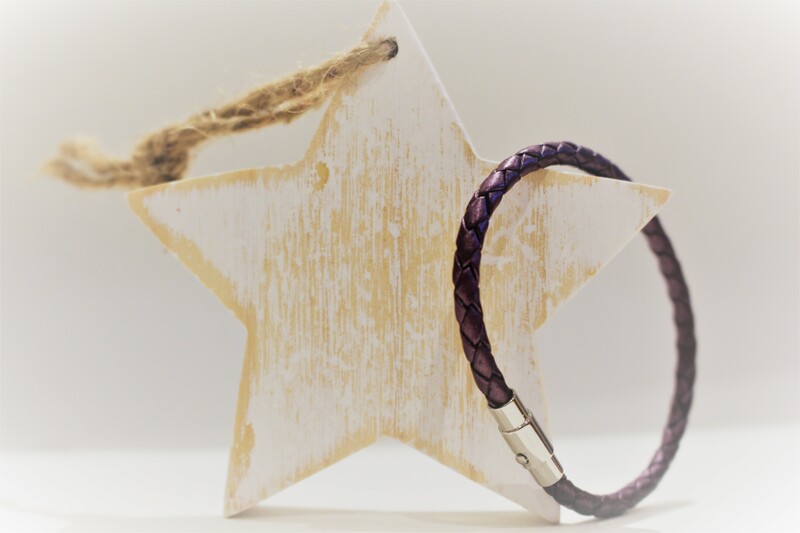 We recommend a small or medium charm for these lovely bracelets. 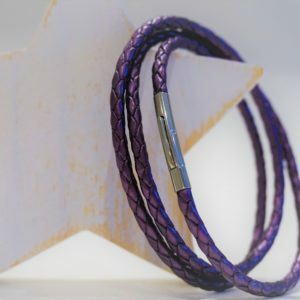 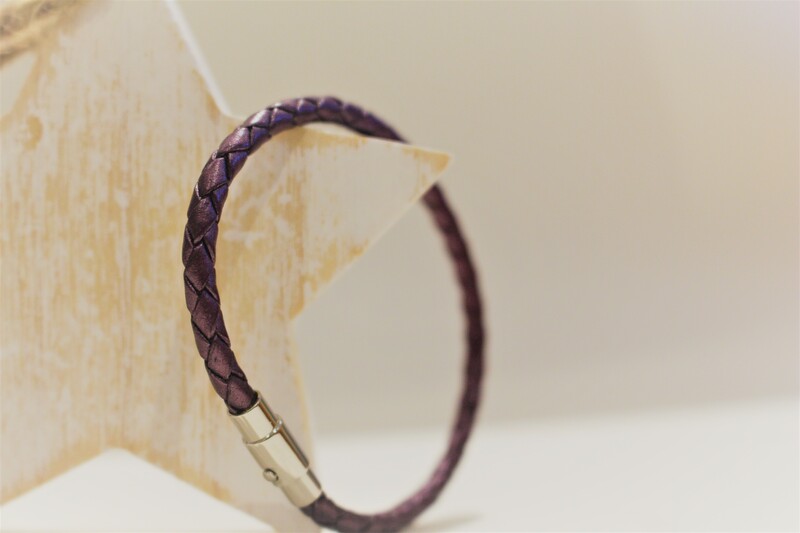 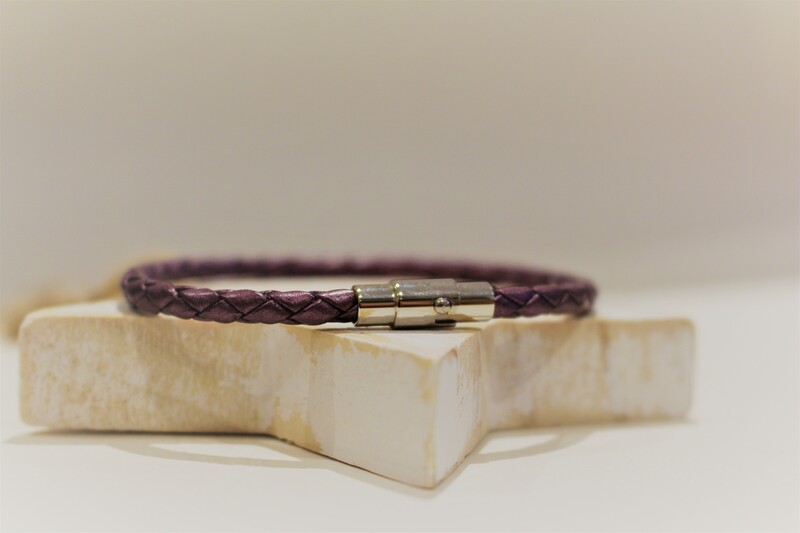 19cm berry plaited leather bracelet, 4mm thick. 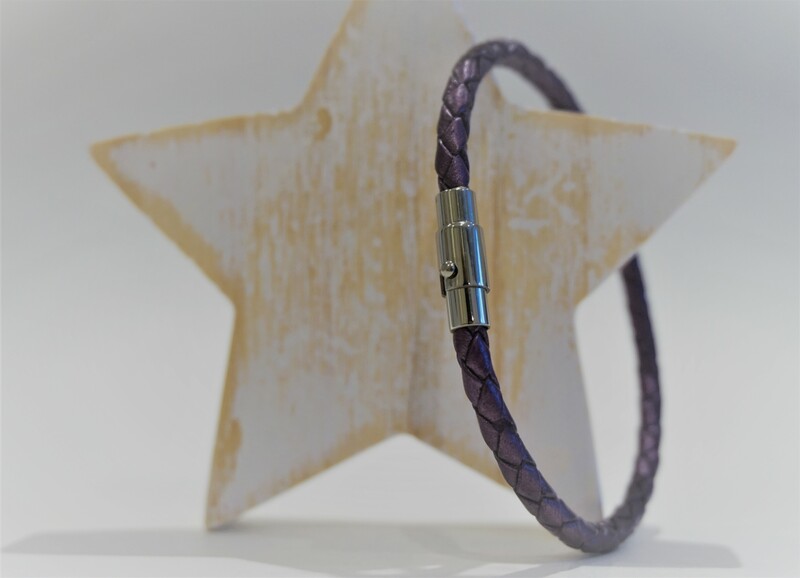 The stainless-steel clasp is a magnetic bayonet which guides closure making it easier to put on and take off.